Set against the backdrop of the streets of Seattle, Holly Cupala's powerful new novel explores the subtleties of abuse, the secrets we keep, and the ways to redemption. But above all, it is an unflinching story about the extraordinary lengths one girl will go to discover her own strength. I actually really liked this book. 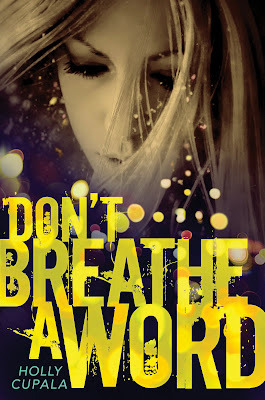 When I first began reading Don't Breathe a Word I wanted to stop reading it after a few chapters because the main character Joy seemed to whine a lot. Though she kind of was entitled to considering what she was going through, however, it did get on my nerves after a while. I didn't really know that this book was about abuse until halfway through the book. If you are wary of books with abuse or just don't like reading them period then this book may not be for you. The characterization of this book was spot-on. Cupala did a fabulous job making the characters so real and the emotions so raw. There were moments that I was so into the book I felt just as helpless as the characters or just as relieved as they felt when things got better. Creed was by far my favorite character in the whole book, he was charming, funny, sweet, selfless, and flawed enough to be real. 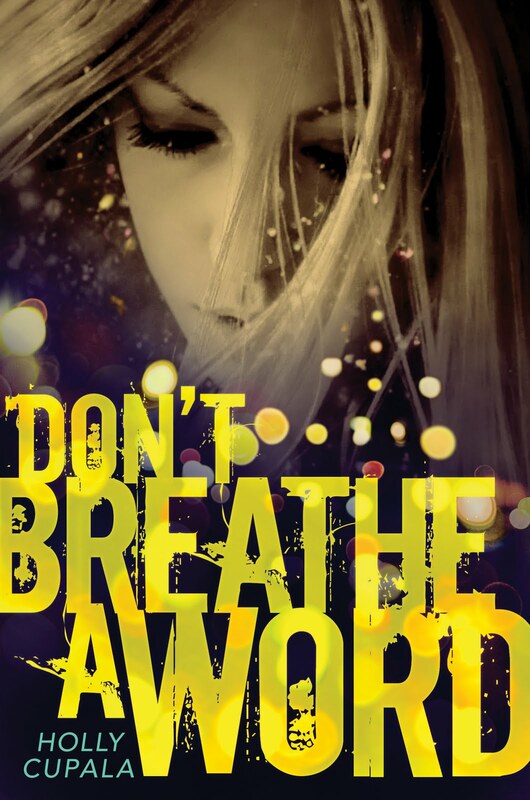 Don't Breathe a Word was such an in-depth view into the lives of homeless teens in Seattle. The emotions were raw and it really opened my eyes to a few things. I try to be immensely grateful for everything that I've been blessed with in my life, but this book reminded me that there are even smaller simple things that we take for granted. When it comes to food I analyze it (It's a very bad habit) because I'm kind of a germ-a-phobe, but this book made me realize I'm so lucky to eat off of a plate and not out of a gross dumpster. I really liked this book and I'd recommend it to anyone that likes reading from perspectives different from your average young adult fiction characters, or if you like reading unusual love stories. It's the little things that matter the most, don't take them for granted because they could be gone in a heartbeat.